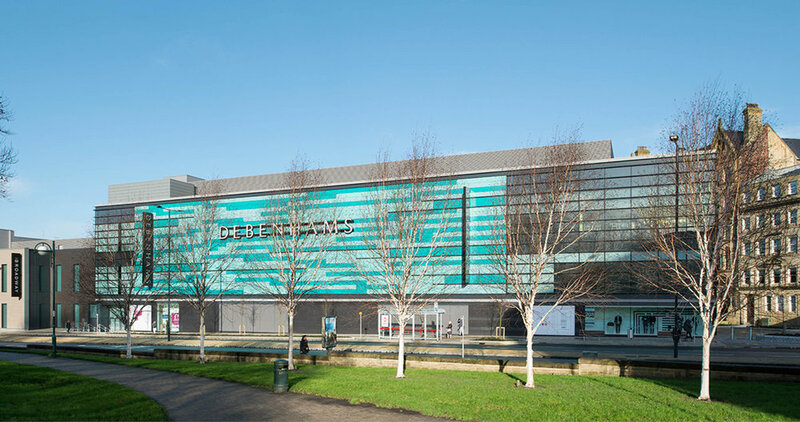 Completed in 2015, fulfilling the promise of its development partners to deliver a top-class sustainable shopping centre for Bradford and its communities, The Broadway has transformed the city-centre; attracting key retailers to serve the local region and beyond whilst acting as a catalyst for further regeneration and job creation. Considered impossible by many commentators, the successful integration of this complex scheme into the historic city-centre has come about through collaboration, a transparent culture and a strong shared vision honed from the outset of the project by its multifarious protagonists. This innovative design has been recognised recently by winning the coveted 2016 Local Authority Building Control Award for Building Excellence for Hadfield Cawkwell Davidson. 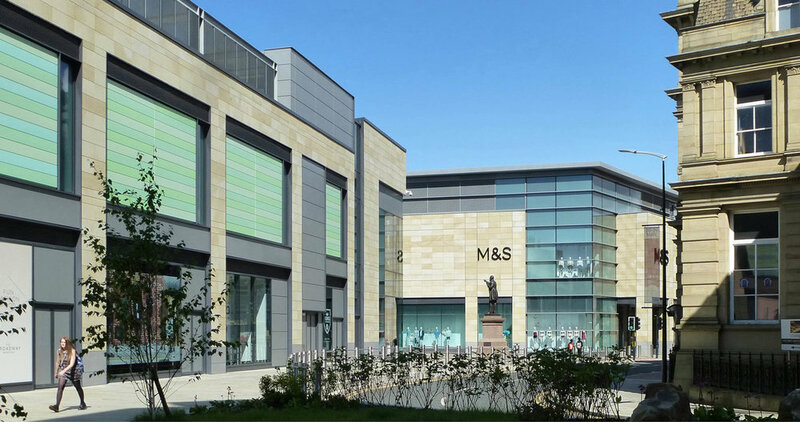 The built scheme is the largest shopping centre to open in the UK in 2015, comprising 570,000sqft of retail space, c.75 retail units including two major anchor stores and numerous food and drink outlets, with a basement service yard and 1300 car parking spaces over five levels. Future-proofing has been built into the design to facilitate possible development of residential and commercial accommodation above the retail units. Accommodation is arranged within six defined city blocks, or ‘zones’, organised around three double-height glass-roofed malls, which link into the existing street layout creating new landscaped public streets and squares. Each zone has its own distinct form, character and material-usage determined by the setting and relationship to neighbouring buildings, public spaces and use-patterns. During the design and planning process, key vistas were identified and the new building ‘sculpted’ to reconnect the surrounding buildings into a coherent cityscape. The economic and physical improvements that The Broadway has afforded Bradford have been a phenomenal success: As well as enhancing the urban environment the building benefits local people whilst attracting investors, developers, tourists and shoppers to the city.